The situation in and around Afghanistan has been attracting international attention for quite a few years now. Many observers are particularly concerned about what the NATO troop withdrawal planned for 2014 means for the region. Most recognize that Pakistani-US relations could have an important role to play in this region in the future. Pakistan has been a staunch ally of the United States in recent years. 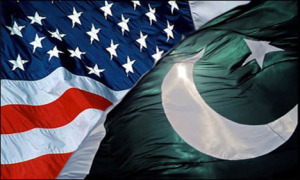 Cooperation between the two countries was secured by the Mutual Defense Agreement of May 19, 1954, thanks to which the United States was able to pursue its own course in the region without coordinating with its faithful ally, Pakistan. 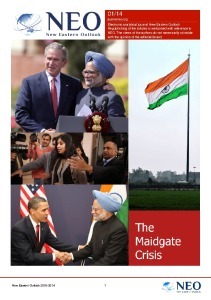 However, events over the last 2-3 years have led many experts to suggest that Pakistani-US relations are at a dead end. To what extent is that a correct assumption? The elimination of al-Qaeda chief Osama bin Laden in Pakistan by US special operations forces and US drone flights in the Afghan-Pakistani border region have aroused indignation among Pakistanis. 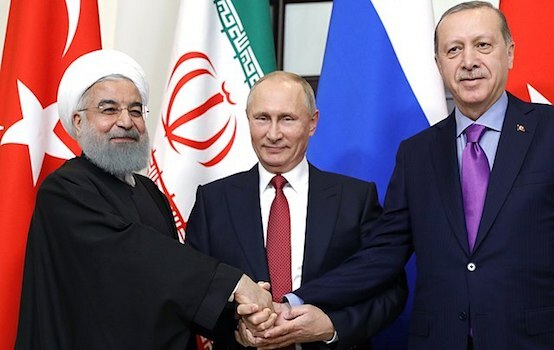 These factors, plus the reaction of Islamabad authorities, lead us to believe the allies will not come to an agreement on an important matter like military actions in another country. Pakistan’s role is on the ascent as the NATO forces’ 2014 withdrawal enters its active phase, and its influence in the region is becoming entrenched. Pakistani authorities may end their assistance to militant groups in Afghanistan and support the central government in Kabul. The facts show that Pakistan would prefer a regime in Kabul like that of the Taliban, with which, as I said earlier, it once had normal relations. That could enable the Pakistani government to strengthen its influence in Southwest Asia and contain the spread of Indian influence in the region, which would also be very beneficial to Washington. The US government is unhappy that Islamabad is less than willing to support the Karzai government. But the American government needs to consider Pakistan’s close ties with groups like the Taliban, which could rise to power in the near future even in a coalition with the government of Karzai and his supporters. But the main reason Washington cannot ignore Pakistan’s interests in the region is that it possesses nuclear weapons. According to a recent news report, a bomb was set off in front of the US Consulate General on Friday, March 29, killing 10 people and injuring more than 30. The Taliban claimed responsibility for the attack. . Analysts believe that terrorist attacks like this one show that people in the region view Washington’s representatives as aggressors and reflect increased anti-American sentiments. They certainly complicate Pakistani-US relations, but, given the arguments presented above, such attacks are unlikely to cause bilateral ties to break down. These facts and others appear to suggest that it makes sense for any Pakistani or US government to maintain normal bilateral relations at this point in time. They simply have no other choice, and there is no compelling reason to believe Pakistani-US ties are weakening. We can assume that the alliance will endure. Its role will be enhanced after Western coalition forces withdraw from Afghanistan in 2014, and it will come to play even and even more significant role as the situation in South and Southwest Asia evolves. Pakistan will remain an important vehicle for carrying out Washington’s plans to subjugate the region to serve US interests.